Hit the Ground Running: I Can See! I've been talking about it since February, and the day finally arrived...Thursday morning, I had my LASIK procedure! I know many of my readers have had LASIK and some are considering it and are interested in hearing about how it went, so I'm going to do a rundown. After a short wait (during which Elisa and I caught up a bit - she was having her LASIK done too! ), the surgeon came in and explained the entire process. He was very reassuring and competent, which was a good thing because I began to notice that I'm apparently totally immune to Valium. As for the actual surgery, it was kind of stressful. They numb your eyes with drops and the only uncomfortable part is, after securing your eyelids so you can't blink, they put a disk on your eye. I think this was the razor that opens the cornea. Everything got dark and there was pressure and vibration in my head for about 10 seconds; then the ring came off and the actual laser did its job. The laser itself was easy and quick. I didn't have trouble staring straight ahead. The worst part was afterward when the surgeon put the corneal flap back in place and used a little sponge to mop up my eye; it's so weird to see all this going on but not feel it! After everything was clean, they inserted punctal plugs, and I was done! I was able to keep myself calm by white-knuckling this stuffed monkey they gave me and imagining I was wearing glass goggles just over my eyeballs and that the entire procedure was just something I was watching from beneath the lenses. Watching LASIK online is way scarier than actually having it done! I was done around 12:30. I went home to take a doctor-prescribed nap. About two hours in I woke up with burning eyes and a terrible dehydration headache. I think the burning was the numbing drops wearing off. I put in some of my prescription drops and went back to sleep. When I woke up again, I felt great! My eyes are a little sensitive right now, obviously, but I can see! My vision wasn't so bad that I'm suddenly like OMG I can see things!, and I'm so used to wearing contacts all the time that in a way I don't feel different; the improvement is anti-climatic. But I can see the clock from my bed, and I can see the TV; the lines in the road aren't blurry and I realize that from now on I'll be able to roll out of bed and just get going instead of taking the time to put contacts in, so I think that will be the biggest difference for me. I mean, I've worn glasses since kindergarten...so this is definitely life-changing! I have a checkup Friday at 9am and then my next is a week out. I'm using three types of eye-drops (an antibiotic, an anti-inflammatory, and artificial tears) and feel pretty good! I'm supposed to take some time off running to avoid getting sweat in my eyes; hopefully I get the go-ahead soon because I have a race next weekend! Are you considering getting LASIK? Yay! Glad LASIK went well. I would love to get it done but I have a weird astigmatism in my left eye that is beyond what current LASIK can correct o_O I can't imagine not having glasses or contacts! 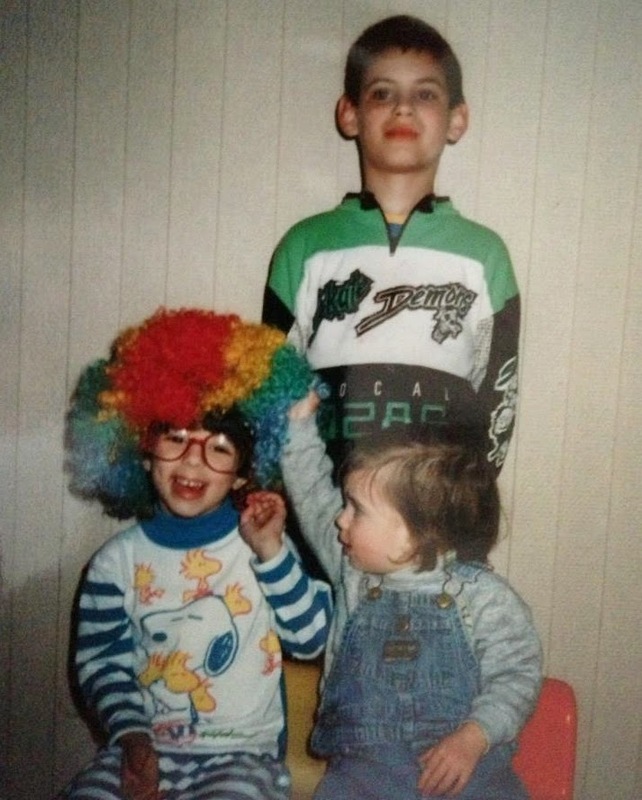 I've been wearing glasses since I was almost 3. I bet it will be nice not having to deal with contact lens solution or packing all those extra items for travel too. Glad your recovery seems to be going well too! Yeah, my astigmatism definitely increased the cost of the procedure, but luckily it wasn't so bad that they couldn't preform it. The lasers and procedures are being updated all the time; I bet someday in the near future you'll be eligible! I'm glad to hear it went well and so far recovery is going well too! I hope you do something fun this weekend so you can enjoy your new eyesight. I'm apparently a textbook case...No halos at all and already 20/20 vision! I'm really happy with the results! Oh I'm so happy it went well for you and that your recovery is on par. :) I hope you heal enough to run your race too!!!! I think I'm going to try a run tonight and see how it goes! Oh wow!! Thank you so much for blogging about this - I'm so glad it went well! It sounds a little scary, but also just miraculous. Going for a run without putting contacts in! A workday without dry eyes from a computer screen! Sounds fantastic :) happy recovery! You're welcome! I really do recommend it. It's uncomfortable but honestly is SO quick! Glad it went well! I am still scared though (ex. irrational fear of moving around). Eventually I will like to get it. I was really worried about moving but the doctor held my head in position so that was okay. Plus the actual laser isn't scary or painful, so if you can sit still for 10 seconds while the ring is on your eye, you're all set! I almost wish I had the kind of goggles my dad had to wear - they were silver with tons of holes in them like a fly's eyeballs - because these are SO comfortable to sleep in! Awesome! Congratulations! I have to admit I cringed reading your account of the surgery but it sounds like you were such a trooper. Enjoy this new chapter, and best of luck on your first race post-contacts life! Yeah, the surgery is cringe-worthy. I wanted to be really honest about the experience! It's "easy" in a way but it's also super nerve-wracking and uncomfortable! How fabulous!! Enjoy your new existence without glasses or contacts! Thank you! I'm looking forward to my new lens-free life! I am so glad to hear your surgery went well! It must be so nice to not have to deal with glasses or contacts. I laughed out loud when you said you were more nervous about the Valium. I am exactly the same way. I freak out about taking medicine. I even freaked out about taking Xanax, which would only make me feel NOT freaked out. Such is the life for a control freak like myself! We are like, the same person in so many ways haha! Yes, taking the Valium freaked me out and then it seemed to do NOTHING for me! But maybe without it I would've been shaking and crazy instead of just super nervous and tense. A friend of mine who had LASIK last year said the Valium makes it so you just don't care about anything and that was NOT my experience lol. I'm glad you are so happy with your LASIK results! I have never had it but everyone I know who has had it done has never regretted it. My eyes were watering just reading this post, though. I think I am forever scarred from scratching my cornea this past summer and anything I read regarding eyes gives me secondhand eye empathy. I remember leaving after the procedure and being surprised at the amount of pain but after going home and sleeping (thanks to the Valium and an Ambien) I woke up feeling great. So glad that you had it done and all seems to be going well!!! I didn't have much pain until mid-nap! But it was a relief how quickly it went away! Whoo! I know you were really looking forward to this, I'm so happy for you that it's all taken care of now. I don't think I could ever have the procedure done. My anxiety just reading this post was sky high! Thinking about the ring, not being able to blink, the laser, etc. I don't think even the monkey would help me! I do feel SO relieved that it's over! In a way if feels like I've always had it...I've adapted to it like I adapted to my tattoo. Now that it's permanent, it just feels like it's always been there! Actually, the not blinking was the easiest part. Because they do one eye at a time, I could blink my covered eye normally and the numb eye being held open didn't flinch or anything so everything felt normal! Congrats! I've been wearing glasses since 1st grade so I can totally relate! I am terrible with contacts so I would love to get LASIK if my terrible eyes were an valid candidate! You might be surprised...with the technology today most people are candidates, but it can get really pricey if your eyes are really bad! Congrats on the LASIK! I bet your life is going to be so much easier! I'm glad to hear you are doing well already. Good luck with the recovery and enjoy! Thank you! It's been weird to wake up in the morning and not have to put contacts in!